Looking at the Cords shown here it’s easy to develop the completely wrong idea of their origin. You know, something along the lines of: these were fantastic and ground-breaking cars from a revered manufacturer, Cord being something like Mercedes Benz of the time. And cars might in fact be fantastic and ground-breaking, but the business was about as far from being Mercedes Benz as it’s possible to be! 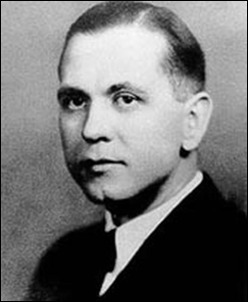 Erret Lobban Cord was in his late twenties when he was running a car dealership in Chicago in 1924. The Auburn car company offered him $36,000 a year to help put the firm back into good shape – but Cord refused, instead seeking 20 per cent of any profit he could make, plus an option to purchase stock. Within a year, he owned Auburn outright, and before long he’d also added Duesenberg cars, American Airlines, the Stinson aircraft company and the Lycoming engine plant. It was in 1929 that a model bearing the name of Cord first appeared. 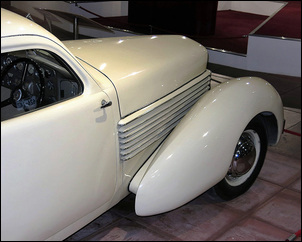 This was the L-29 – a car boasting front-wheel drive, a de-Dion front axle on quarter-elliptic leaf springs and inboard hydraulic front brakes. At the back, suspension comprised a beam axle on semi-elliptic springs. Unusually, Houdaille-Hershey shock absorbers were fitted both front and back. The engine was a straight-eight, all 4935cc of it. Docile and dignified in town, yet capable of unusual speed on the open road, the Cord commands your attention… the principles employed in its front-wheel-drive unit have withstood the rigorous test of racing, whilst its low, sweeping lines suggest amazing acceleration and power. However, power was only 125hp and with the car weighing over 2 tons, performance was lethargic – even at the time. Acceleration from 0 – 60 mph took over 30 seconds, and top speed was barely 75 mph. And they weren’t the only negatives. The front driveshaft CV joints wore quickly, and the weight distribution (more than half was on the back – undriven – wheels) meant the traction on loose surfaces was poor. But the styling was superb. The L-29’s wheelbase was an enormous 137.5 inches, and the flowing bonnet and mudguards looked magnificent. Only 4400 units were made. When new, the car cost $3295; just five years later the car was valued in a contemporary used car guide at $145! 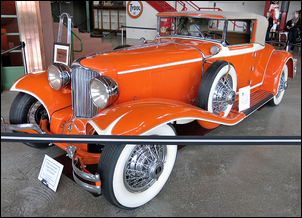 The next car to be called a Cord was the 810 – one of the most beautiful cars of all time. Radically different not only from other cars of 1936 but light-years ahead of the L-29 still on sale only four years earlier, the 810 also had front-wheel drive and an eight-cylinder engine. But this time the engine was of V8 configuration, with the engine located behind the front axle line and the gearbox ahead of it. The shorter engine and better weight distribution (the previous L-29 straight-eight had both engine and gearbox located behind the front axle – one reason for the incredible bonnet length) meant the 810 was a sweeter car in fundamental design. The Lycoming V8 had a capacity of 4730cc and produced 125 bhp at 3500 rpm. Add a Schwitzer-Cummins centrifugal supercharger and power jumped to 170 bhp at 4200 rpm. A higher boost blower was then fitted, that brought power up to 190 bhp. The unblown Cord could do 90 mph and get to 60 mph in 20 seconds. The supercharged version would do nearly 110 mph and get to 60 in 13 seconds, making it one of the fastest pre-war American production cars. Suspension was also a step up over the L-29. 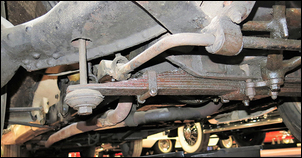 Rather than the front de Dion solid axle, the 810 used independent front trailing arms with a single transverse leaf spring and what appears to be an anti-roll bar. 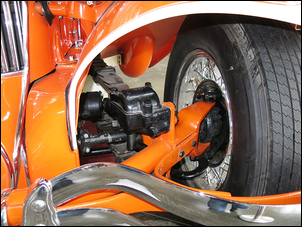 Rear suspension retained the beam axle and semi-elliptic springs. But while the mechanicals might have been innovative, this was a car that sold on style and features. 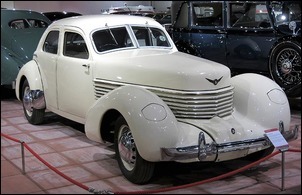 The new Cord had retractable headlights, adapted from Stinson aircraft landing lights. It had a streamlined nose with wraparound radiator louvres replacing a traditional grille. Other standout features of the styling were twin streamlined tail-lights, no running boards, concealed door hinges, a petrol filler hidden beneath a hinged flap, and a rear-hinged bonnet. But that wasn’t all! You could also add dimmable instrument lighting, variable speed windscreen wipers, sound insulation and a radio as standard. But as with the company itself, all was not quite as it seemed. 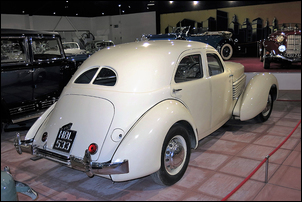 To save time and money, only two dies were used for the doors of the four-door model – so the front door on one side was the same as the rear door on the other side! There was not a sufficiently large body press to produce the roof panel, so this was welded-up from multiple panels. The interior handles were acquired at a bankruptcy sale and were then equipped with large decorative plastic knobs, and the dashboard instruments were also a job lot. But the biggest problem was the transmission. Designed to an advanced specification, the transmission used a pre-selector approach where the driver, using a tiny lever, selected the next required gear. Then, when the clutch was pressed, that gear automatically engaged. Perhaps unfortunately, the 810 was an immediate and enormous success at the New York show, with many orders taken. Bolstering consumer confidence was the apparent availability of 100 cars – but these cars were only complete externally! The 125-inch wheelbase 810 came in four models – the Westchester and Beverly sedans (the main differences being internal trim), the Sportsman two passenger two-door, and a four passenger convertible (called a phaeton sedan). 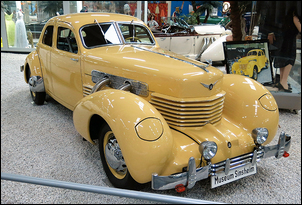 In 1937, the model designation changed to 812 and two 132 inch wheelbase models were added – the Custom Beverly and the Custom Berline. 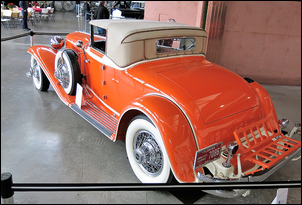 Only 1174 Cord 810s were produced – about one-twelfth of what was expected – and 1146 Cord 812s were built. 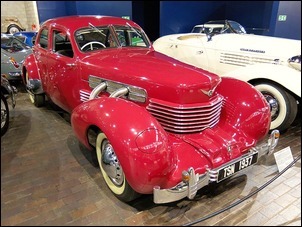 E.L. Cord’s empire collapsed in 1937 – but it did leave behind what are among the most beautiful cars ever produced. The Cords shown here were photographed at the Pierce-Arrow Museum (Buffalo, New York), Sinsheim Auto & Technic Museum (Sinsheim, Germany), the Haynes International Museum (Sparkford, UK) and the National Motor Museum (Beaulieu, UK).